But awful timing has me waist-deep in papers to grade this week. I teach four classes at one college and two classes at another, and all six classes turned in papers this week. So my days are spent teaching and grading, along with pigeon-holing workouts in between. Think fondly of me and any blog posts I might have been writing if I weren't busy grading. But wish me a quick green grading pen and perfect student papers. 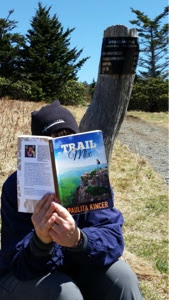 Here's a photo of a friend of mine who's on the Appalachian Trail and took a copy of my book with her. 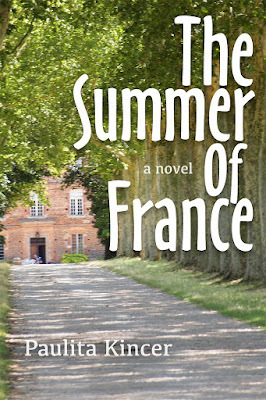 My novel, The Summer of France, is on sale on Kindle for 99 cents Friday through Sunday. 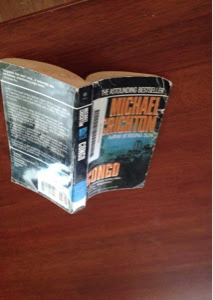 If you haven't read it, I hope you'll give it a try and spread the word to your friends who love reading. Today was a beautiful, sunny Easter Sunday. And luckily, we go to spend it with family and much of it outside, enjoying ourselves. Many of our days in France are spent outside enjoying the weather when the sun shines. And, as you can see from this picture in Luxembourg Gardens, we are not alone. Everyone in Pairs loves to be outdoors when the sun shines. Here's another angle on the sunny grass and fountain at the Luxembourg Gardens. I even caught this nearly symmetrical picture of girls in white shirts and jeans sitting on a pedestal and framing the fountain at Luxembourg Gardens. I love Paris when the sun shines, but also when it doesn't! Thanks so much for playing along with Dreaming of France. 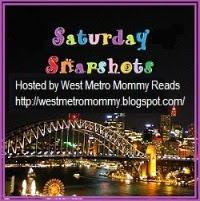 I'm so glad you stopped by and I hope you'll visit the blogs of the other people who play along too. When I woke up, my thoughts sifted through my mind slowly, like pieces of a dream. 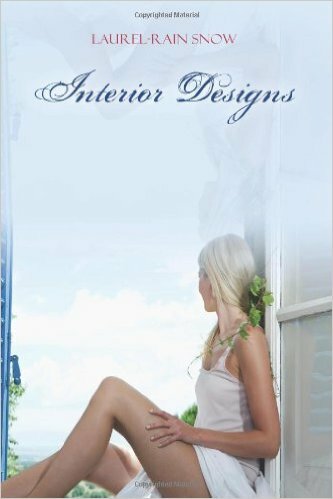 I could feel the sun through the spaces in the blinds, and I gradually saw my surroundings -- my pink and white floral Laura Ashley spread, the matching shams, and other assorted pillows -- and that normally blissful feeling started to descend. And then something jarred me fully awake. I sat up slowly, and the heavy cloak of despair fell down around my shoulders. 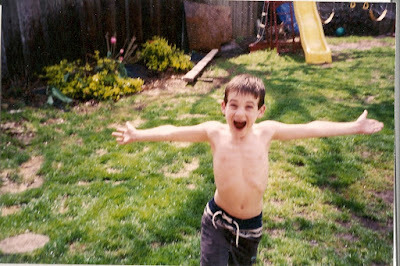 My now-familiar life began to take shape. When had my world morphed into this despair that seemed to follow me into every waking moment? Why did my sleep bring my only peace these days? I look forward to reading Laurel's novel. Apparently, according to Facebook, one year ago today, we were in Marseille and had no idea it was St. Patrick's Day. Wait. I do remember a few bars in Aix had rowdy celebrations on St. Patrick's Day. We did not partake in the Irish celebration because we were busy enjoying French culture. This is the view as we exited the train station to a cloudy Marseille. In the center of the picture, far off, you can see Notre Dame de la Garde, the cathedral that hovers over the harbor. Here's the harbor, known as Vieux Port, and you can again see the cathedral above. Yesterday, I edited the section of Paris Runaway that takes place in Marseilles, so it was definitely on my mind. This year, since I'm in Ohio, I spent today getting a skin check by the dermatologist. There's the Irish celebration with my pale skin and freckles. 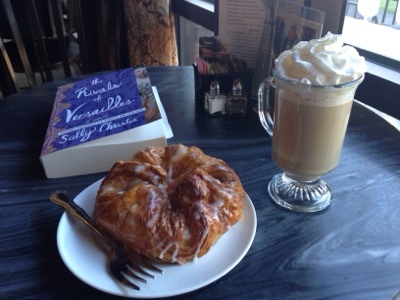 Then I stopped by Mozart's bakery for a mocha and a cream cheese plunder pastry while I read. Then a final stop for a manicure. It's not France, but I can't complain on one of my few remaining days of Spring Break. I'm always intrigued by French bathrooms. Some of them are very primitive while others are over the top. Luckily, for years we haven't run into Turkish toilets, those are the ones that have a place for a foot on either side of a drain. The expectation is to squat over the drain and take care of business. I don't think most Americans have the thigh muscles for that. Plus, for a woman wearing pants, something is always going to get wet. The bathrooms are getting more interesting in France. Here's the bathroom in the Charles de Gaulle airport, the first one I entered when we got to France. Look at those colors. They will wake you up after a long flight. Plus the doors are nice and tall so you don't have to worry about anyone stealing your bags or purse. Here's another angle of those same doors and the long trough sink. It's all very modern at the airport. Bathrooms in hotel rooms are generally small compared to American expectations. We never care because we're there for the fun outside the hotel room, but Americans can be quite surprised. Here's our bathroom in the Quality Inn on Rue Mouffetard in Paris. You can see that there was very little knee room between the toilet and the wall, and you could fall into the tiny shower straight from the toilet. We laughed about the tiny bathroom, but since we spent three nights in Paris and the hotel price was included with the airfare, so basically free. We might have considered a Turkish toilet at that price. At a restaurant in Marseille, I headed down the stairs to the basement, where the toilets are often located. This one included a block of colored light that changed throughout the entire experience. I felt like I was in a disco. The French definitely have a lot more fun with their bathrooms than we do in the US. I know that runners are messed up. They obsess about getting out there no matter the weather. In spite of logically understanding this, I find myself, like a Donald Trump groupie, unable to resist. The other morning, my friend Sheila texted to ask if I wanted to walk if the weather permitted. I told her I was still in bed but I needed to run first. "Stay in bed!" she texted. "It's raining out now." 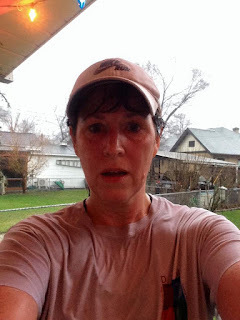 Avoiding a walk in the rain makes sense, but once the thermometer creeps into the 50s, my runner's rule says I have to get out there. It's warm enough to run in the rain. So I did on Thursday and again this morning, as I woke up to the sound of raindrops against the windows. I dressed in a short-sleeved shirt and running leggings that stop at my knee. I slid on a long-sleeved jacket since the temperature read 52 degrees. I encased my phone in a plastic bag and wrapped my Fitbit in plastic too so I could get credit for my steps. This morning, the clock said 7:30, but the sky said 6:30 since we moved the clocks forward last night. My friend Naj and I ran in the snow this winter too. I ran through the wet, dark streets. I didn't feel the rain but I could see it falling when I looked at the lights. I quickly got too warm and pulled my jacket off. As I passed mile three, my hands felt icy and wet. I tried to shake off the rain that soaked my arms, my pony tail. I felt the squoosh of water in my soaked socks and shoes. And finally, I thought, this is crazy. I ran home at just under four miles, feeling guilty about my run cut short -- but satisfied that my Fitbit had a jump on my 10,000 steps for the day. We runners are nuts, but I don't think I'd give it up. My morning excursions are some of my favorite times of the day, of the week. Earlier this week, the sky glowed a beautiful pink as the sun rose. And then the pink segued into a lovely golden sky. I feel fortunate that I can get outside and experience it. This morning, I ran with my friends on a bike trail in the country and we stopped along a vernal pool, yes, one of those spring pools that doesn't appear the rest of the year, and listened to the spring peepers along with some bird song. There isn't much to see, but the sounds are inspiring. Hope everyone else finds some joy in their weekend. I walked out of Kroger holding a bag that contained Naked juices, a pineapple and some kiwis when I spotted a car that looked like Tucker's wheel into the parking lot. I hadn't been home yet since going to work then the gym so I walked over to surprise him, as young men love to be surprised by their mothers out in public. Tuck clutched a sandwich bag jammed full of change. He planned to go in Kroger to use the change counter and get bills in return. I made a half-hearted effort to convince him to put the coins in rolls and take them to the bank, but he wanted the immediate opportunity to pour coins into the metal tray and receive cash back, even though it cost him 7%. "Ok," I said and reached up to kiss him on the cheek. "Hey, none of that," shouted an old man wheeling a cart around the parking lot. I'd already noticed him looking up and down the aisles searching for his car. "That's my son," I told the old man who had smiled after his bark. He admitted that he needed some help finding his car. "Has that ever happened to you?" he asked. And I agreed that I had misplaced my car before, thinking of times when I was pregnant and not quite sure where I'd parked. "What's the car look like?" I asked. "I knew you were going to ask that and the truth is, I don't know." At this point, I was doubtful the guy should be driving anyway. I looked around the parking lot. I saw a Kroger employee walk out the door to gather carts, and I wondered if I could simply shuffle the old guy to the people who worked there. Instead, I asked the man if he had a key fob. I showed him my key with the lock and unlock buttons. "All I have is this," he said, pulling out a key, a crushed tissue and a coin. I pushed the tissue aside and pointed out the buttons on his key. I pushed the lock button and heard a beep a few rows over. "Sounds like it's over there," I motioned. It took a few more beeps before I got him to move in that direction. We found his silver Accord with temporary plates on it. No wonder he couldn't remember what it looked like. He'd just gotten it. I showed him the trunk button on the key and he began to move his plastic bags from the cart to his trunk, but didn't set me free yet. 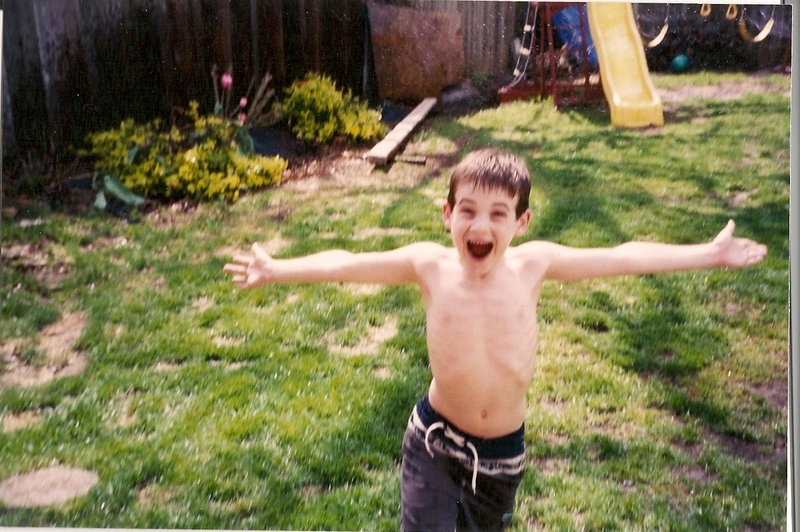 "Guess how old I am?" he asked. "75?" I guessed politely, thinking he looked much older. "Come on," he said. "Really guess." "I fought in World War II for 27 months and came home in December..."
"Oh, no. Not math," I said. Another woman pushed her cart to a nearby car. "My father fought in World War II," she began before he barked at her. "I'm not talking to you." Then he smiled. Luckily, I didn't have to respond because the other woman began a conversation. "I'll take your cart back," I offered and walked back into the store, determined to track down Tucker and tell him about the old man. I wanted to give the old guy plenty of time to leave before I headed back to the parking lot. And, although he hadn't departed, he was safely ensconced in his car and would hopefully make it home without further incident. People either seemed to love or hate Elizabeth Gilbert's Eat Pray Love. I enjoyed it, especially the section in Italy. 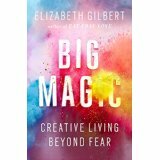 Now I'm beginning her book Big Magic Creative Living Beyond Fear. She's talking about creativity and inspiration in this one. Once upon a time, there was a man named Jack Gilbert, who was not related to me -- unfortunately for me. Jack Gilbert was a great poet, but if you've never heard of him, don't worry about it. It's not your fault. He never much cared about being known. But I knew about him, and I loved him dearly from a respectful distance, so let me tell you about him. Jack Gilbert was born in Pittsburgh in 1925 and grew up in the midst of that city's smoke, noise, and industry. He worked in factories and steel mills as a young man, but was called from an early age to write poetry. .He answered the call without hesitation. He became a poet the way other men become monks: as a devotional practice, as an act of love, and as a lifelong commitment to the search for grace and transcendence. I think this is probably a very good way to become a poet. Or to become anything really, that calls to your heart and brings you to life. 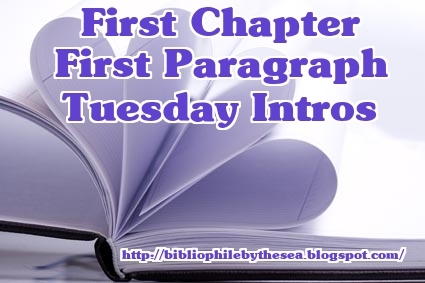 This is a fairly long intro to include, but I think it's pretty slow to begin and doesn't capture me yet. Hopefully it will inspire me. I look forward to hearing about other good books from the rest of you. Something strangely peculiar happens to the light in Paris as the sun begins to set. The light turns an amazing shade of blue and bathes everything in soothing tones. This is the Arc de Triomphe du Carrousel just across the street from the pyramid at the Louvre. Here's the pyramid as the clouds add to the drama of the sky. The Eiffel Tower is lit up already and a sliver of the moon hovers above. And here's a closeup of the Eiffel Tower. I love how warm the golden light is. I received a copy of In Another Life by Julie Christine Johnson in exchange for a fair review. 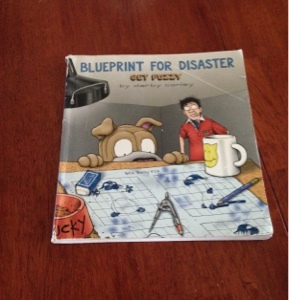 And you can enter to win a paperback copy of the novel at the bottom of this post. Make sure you enter! 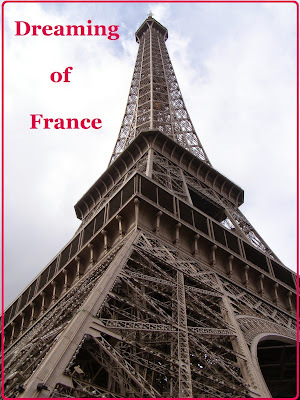 I was excited to start this novel set in Languedoc, France, which is the area my husband and I plan to move next year, and now I have an avalanche of images and history about the region that I can draw on. This novel focuses on Lia who returns to France a year after her husband died in a bicycle accident to see if she can begin living again. 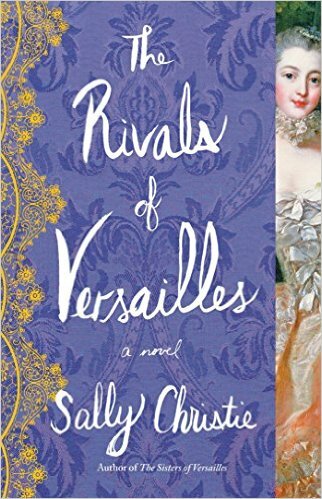 That's a story I would have enjoyed -- to simply see her finding solace in the countryside and culture of France, but I hadn't counted on the magical elements in the story. Lia, a historian, finds that she is wrapped in a reincarnation story that stretches back 800 years to the tumultuous past of the region when the Cathars were killed by emissaries of the Catholic church. Lia has to figure out who the good guys and bad guys are over the 800-year chasm. Historian Lia Carrer has finally returned to southern France, determined to rebuild her life after the death of her husband. But instead of finding solace in the region’s quiet hills and medieval ruins, she falls in love with Raoul, a man whose very existence challenges everything she knows about life–and about her husband’s death. As Raoul reveals the story of his past to Lia, she becomes entangled in the echoes of an ancient murder, resulting in a haunting and suspenseful journey that reminds Lia that the dead may not be as far from us as we think. Steeped in the rich history and romantic landscape of the Languedoc region, In Another Life is a story of love that conquers time and the lost loves that haunt us all. Julie Christine Johnson is the author of the novels In Another Life (February 2016, Sourcebooks Landmark) and The Crows of Beara (September 2017, Ashland Creek Press). Her short stories and essays have appeared in several journals, including Emerge Literary Journal, Mud Season Review; Cirque: A Literary Journal of the North Pacific Rim; Cobalt, the anthologies Stories for Sendai; Up, Do: Flash Fiction by Women Writers; and Three Minus One: Stories of Love and Loss and featured on the flash fiction podcast, No Extra Words. She holds undergraduate degrees in French and Psychology and a Master’s in International Affairs. A runner, hiker, and wine geek, Julie makes her home on the Olympic Peninsula of northwest Washington state with her husband. In Another Life is her first novel. Yesterday, my youngest turned 20. No more teenagers in my house. It doesn't really seem that different though. I have two kids living at home. Grace has finished college, is working full time and acts in shows so she has rehearsal most evenings. Tucker has been on and off at college. He's currently studying videography and living at home. Sometimes I wonder whether he'll end up moving to France with us when we go next May. 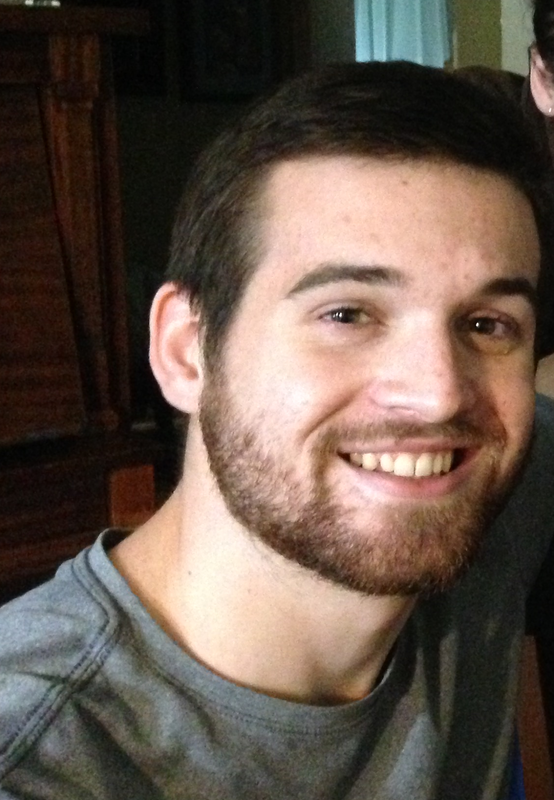 I have so few recent pictures of Tucker, that I had to crop a family photo to get one of him. I started off his birthday by going to the local donut store and buying a box of donuts for when he woke up. I also got a helium balloon to attach to the box because I'm a sappy mom and I wanted him to feel special. As the youngest, his birthday has sometimes gotten pushed aside, like the time my husband found out on Tucker's birthday that his job was going through layoffs. It put a damper on the celebration to say the least. And March is usually busy when the older kids are around with sports activities or college prep things. He can't really complain though since he had two years home alone with the other kids gone to college. He definitely enjoys being an only child. Tucker is a bit on the quiet side now, but that is not his usual nature. 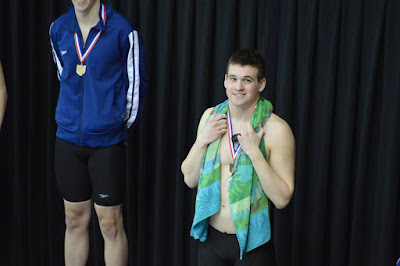 As you can see from this picture, he has enjoyed the spotlight. And even though he tries to be unassuming, he has had his share of fame in swimming and on stage. 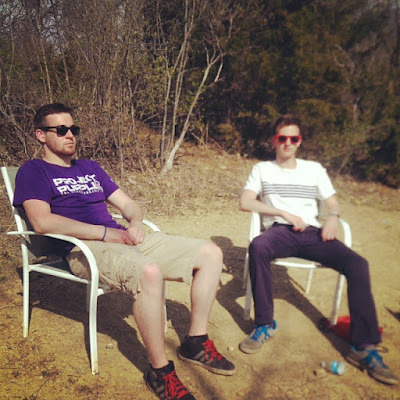 My boys chilling on a whitewater rafting trip. I hear they had a lot of fun. 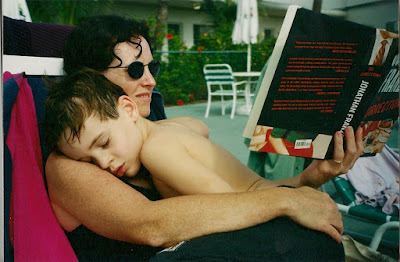 And here, my youngest trying to warm up in my arms after a swim. Those were pretty perfect times. I'm glad to see him growing up and eager to see how his life goes, but I'm grateful for the times I got to cuddle him too. 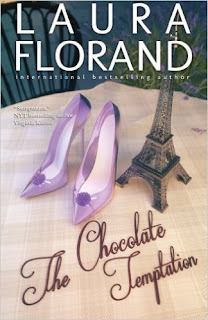 Reading one of Laura Florand's chocolate books is a bit like eating a box of chocolates. It's probably not the best thing for me, but it feels so good at the time. And they're usually set in France, so that's a bonus. French chocolates. 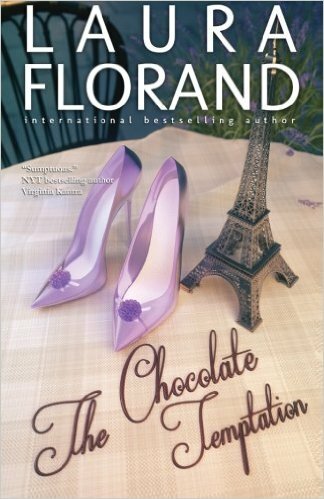 I'm starting The Chocolate Temptation by Laura Florand. Sarah is an American intern in a Paris pastry kitchen and she hates then loves Patrick, one of the chefs. She hated him. Tossing around dessert elements as if they were juggling balls he had picked up to idle away the time and, first try, had dozens flying around his body in multiple figure eights. Patrick Chevalier. Sarah hated him with every minute painstaking movement with which she made sure a nut crumb lay exactly the way Chef Leroi wanted it on a fnancier. 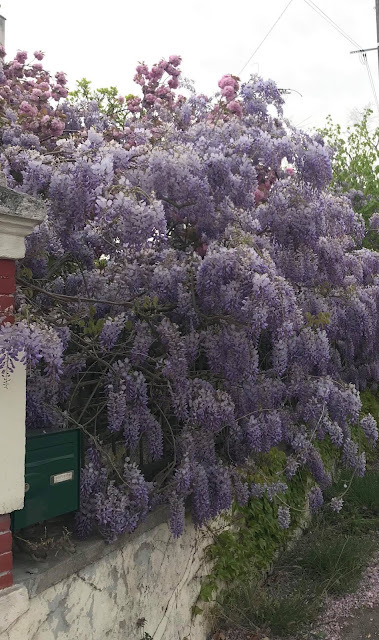 She hated him with every flex of tendons and muscles in her aching hands in the evening, all alone in her tiny Paris apartment at the approach to Montmartre, knowing someoe else was probably letting him work the tension out of his own hands any way he wanted. Unfortunately, the last book I read by Florand spent too much time in the characters' heads. I hope this one gets me out of their heads and into Paris.